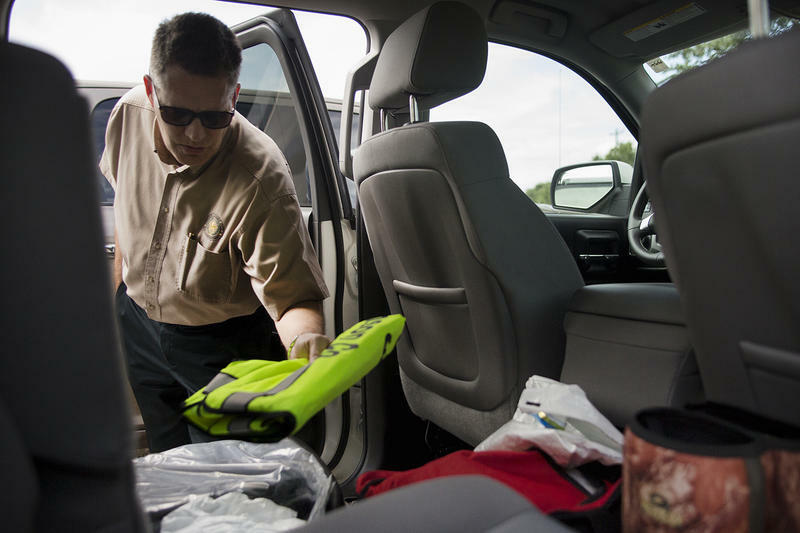 Williamson County Justice of the Peace Bill Gravell inspects his boots, reflective jacket and body bags, which he always keeps in his car in case he gets called out to a dead body. 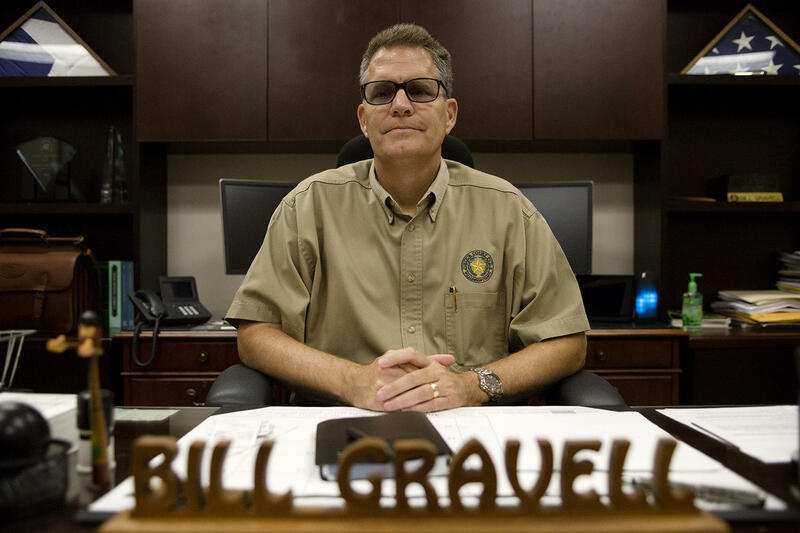 Gravell is a Williamson County Justice of the Peace (JP). On the bench, he handles things like misdemeanors, property seizures and small claims. Off the bench, he has some bigger tasks. He signs arrest warrants and marries people. He also investigates how people die. In much of the state, when someone dies outside of a doctor’s care – in an accident or in their house – someone like Gravell is called to the scene. By law, cities with more than a million people are required to have a medical examiner, but in smaller cities, the work of death inquests falls to JPs. "I often tell families that the reason I am here is because I am writing the last chapter of your loved one's life." 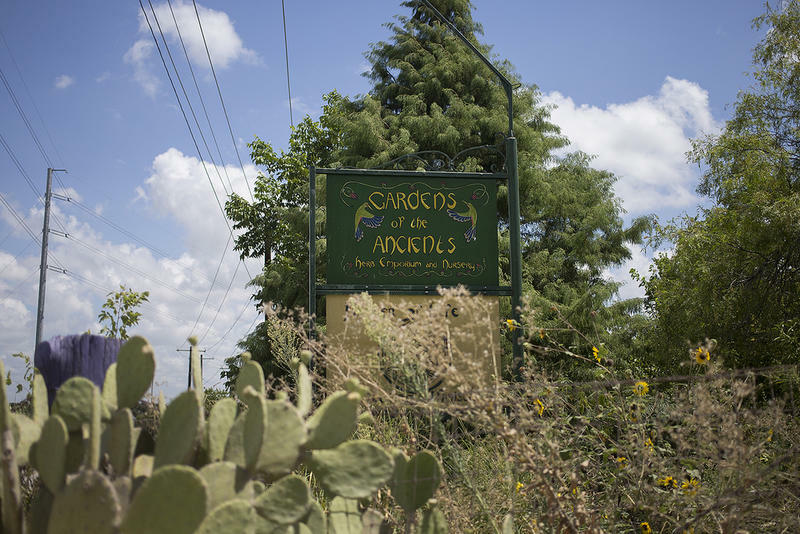 There are hundreds of JPs in Texas and, when it falls to some of them to do a death inquest, Gravell says their job is to be a second set of eyes. This is how information about how people die makes it into many death certificates in the state. Gravell says he does about 12 to 15 of these a month. Death certificates are obviously important. They allow families of the deceased to close bank accounts, collect life insurance and, Gravell says, deal with death in a practical sense. 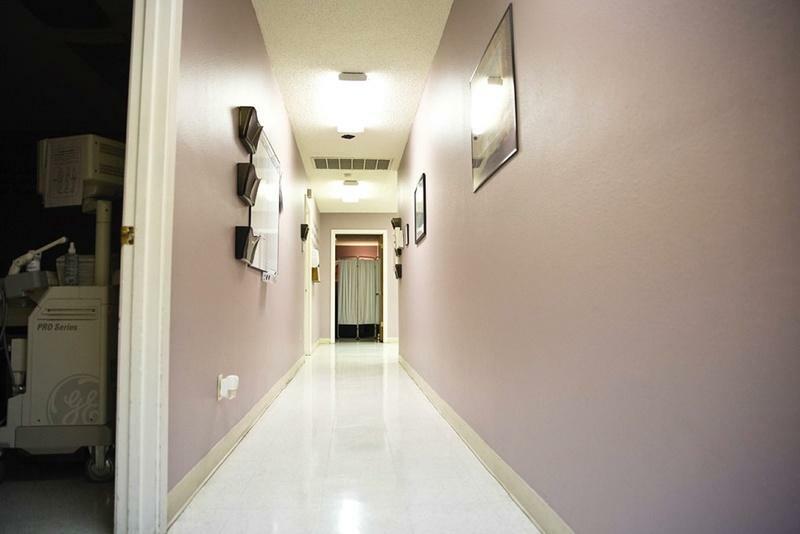 However, that information also helps officials keep track of what could be leading to preventable deaths, and the way Texas gets that information is inconsistent. There are a lot of reasons for this. One reason is because the difference between a medical examiner and a JP is pretty big to begin with. Scott says there are some standards, of course. For example, the cause of death can’t be something that doesn’t actually kill someone. An investigator has to point to things like a disease or traumatic injury as cause. “But how you arrange to arrive at that conclusion is very different among different individuals who practice the investigation of death,” Scott says. Even the way medical examiners do their jobs can vary because they aren’t regulated by a state agency. And regulation and education aside, when it comes to JPs, Gravell says money is the sometimes a biggest driver in how they do their job. But that’s not the case for all JPs, he says. Judge Bill Gravell, Justice of the Peace for Williamson County, Precinct #3, in his office in Georgetown, TX. And getting it right means Texas has a better picture of what is happening in the state when we consider things like public health policies. 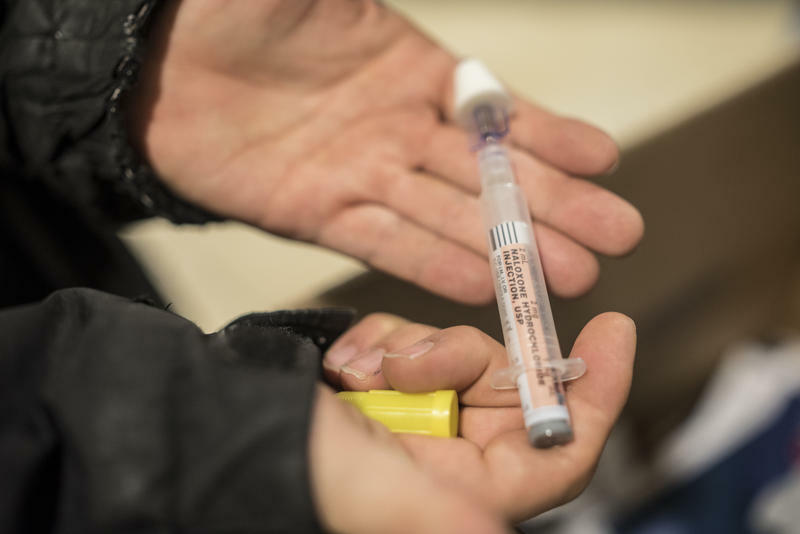 A good example of what happens when numbers don’t paint a good picture of what’s actually happening is with opioid overdoses. Mark Kinzly’s life’s work is finding for help for people dependent on opioids like heroin and pain killers. 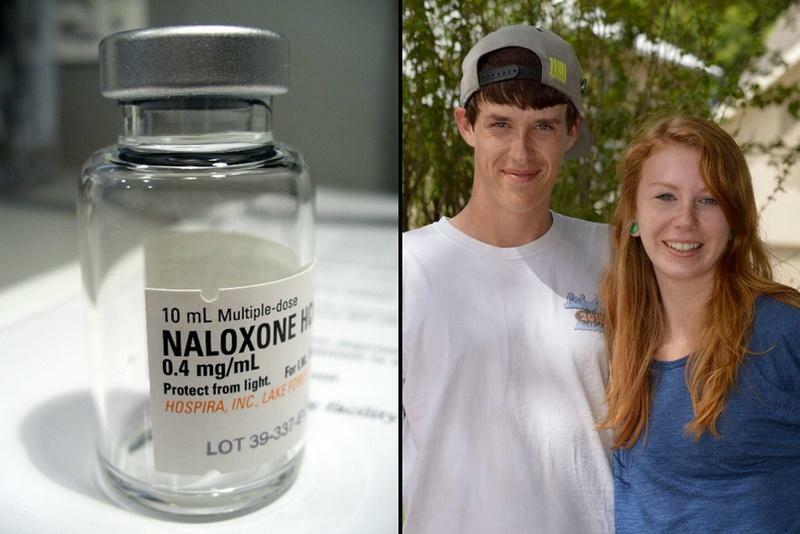 He runs a statewide program that gets a life-saving drug called Naloxone into the hands of people across the state. 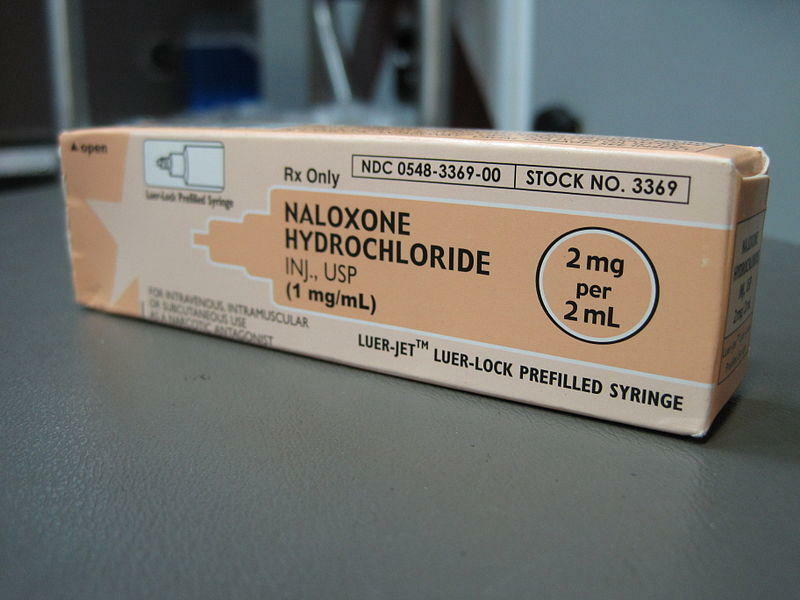 Kinzly says overdoses are a big problem here. He says state health officials need to be more aggressive about dealing with the problem, but those deaths are undercounted here. Gravell says a lack of information on this specific problem could be due to the fact that there aren’t enough toxicology panels ordered in some parts of the state. "If we are reporting bad data around deaths, we are probably also reporting bad data around a number of other health consequences." “If you are not ordering the toxicology, it’s probably because you haven’t ordered the autopsy," he says. “If judges aren’t ordering autopsies, it could be that they are receiving pressure from others not to spend those funds." That, Kinzly says, is making it harder for him to ask lawmakers for help. It’s not hard to find examples of that, either. A recent study found the state’s maternal mortality rate doubled in 2011 and 2012, and no one really knows why. Last month, a statewide task force released a report about pregnancy-related deaths, and researchers said one of the biggest issues they faced while looking into these deaths was that the way in which were reported and recorded was inconsistent, making it hard to explain what’s going on. Scott says there are solutions out there, though. Florida, for example, has a regionalized medical examiner system, which, she says, would be a step up. Lawmakers could also consider reimbursing counties for the autopsies ordered. Of course, all of this would require state spending, which could be a tough pitch in the next legislative session.